Smooth Tobacco is a traditional tobacco flavor pod designed to work with the Cue Vapor System. I have tried all of the flavors, and smooth tobacco is my absolute favorite one. The smooth tobacco pods for the cue taste good and they lasted longer than other flavors. My favorite tobacco blend hands down. Taste great, like a good regular brand cigarette. Very good taste! My favorite. This is it, if you are hoping to get plenty of smoke and a full flavor experience. smooth as silk and easy draw. Just great all the way around. Try these, I believe you will like them. I thought the smooth tobacco would be my choice having tasted several blends. This blend began tasting less, and less like tobacco. I cannot even describe the taste other than it tasting sweet. I realized I could not stand the taste any longer so I switched to the full tobacco. When I first tasted it I thought it to be to strong, and not to my liking comparing this to the Winston full flavor regular cigarettes I once smoked for years. I had to give them up, but I still liked the flavor having tried many different cigarettes. Not sure if I will keep vaping, but as I do I want something that taste like tobacco. This product is great!!!! Im trying to cut back on smoking & im down to buying a pack of cigarettes every 4 days instead of every day which is a huge improvement. 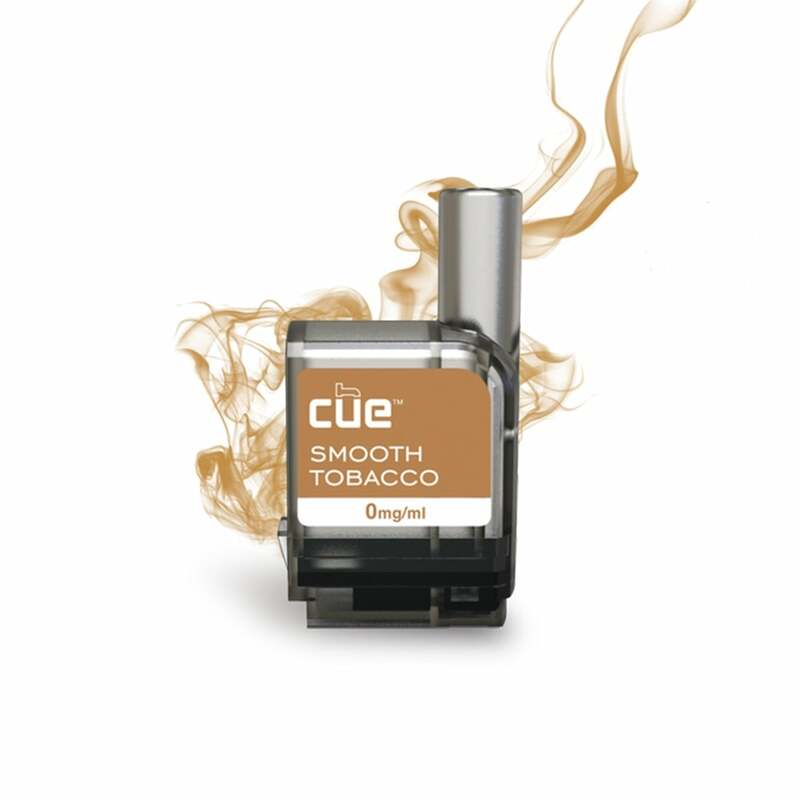 Smooth tobacco by cue is really a game changer for me & the first product ive used that really works. Your website is fantastic!! I get what I need quickly & at a reasonable price. Im so glad I found you. Nice smooth flavor with just enough enjoyable tobacco. Great flavor for a former smoker. This Smooth Tobacco flavor tastes terrible. This is by far the worst tasting tobacco juice I have ever tasted. It tastes like burnt plastic, chemicals and tar. I guess they were trying to make it taste like an artificial cigarette, but I prefer the taste of natural pipe/cigar tobacco. My husband bought the cue vape system from cue. He loves it, and it's been very successful in curbing his urge to smoke a cigarette, however, when you order from c u e, you have to spend like $60 before you get free shipping. With your company, it's just $20. Your prices are the same, but the free shipping is the definite seller. 7th July 2018 - Bryan Duquin Sr.
Just enjoy the flavor and quality of this product. Also ordering through Electronic Tobacconist is great having issues finding the product in stores near me. Now order and no issues, great turnaround. 27th June 2018 - Bryan Duquin Sr. I like the tobacco taste more so than the flavored juices. This isn't bad, not as harsh "strong" as the full tobacco, but I believe it still needs work to give it more of a natural taste. It doesn't get as hot if one of the plugs is left in, but when the juice gets near the bottom it does get hotter with a pull even with the one plugs left in. I believe Cue is on to something with the smooth, and the hope is over time the taste will improve.